Storage Soup - Page 2 of 218 - A SearchStorage.com blog. IBM storage hit another blue period last quarter. After pulling out of a revenue slump to start 2018, IBM last week closed an uneven year with declining sales of storage hardware, mirroring flat overall earnings for the quarter and fiscal year. A bright spot: IBM cited a spike in demand for its hybrid cloud platforms, fueled by increasing adoption of big data and interest in AI. IBM breaks revenue into four broad product sets: cognitive solutions, global business services, cloud technologies and hardware systems. IBM lumps storage in its systems segment, which generated $8 billion, up 2% year over year. CFO James Kavanaugh blamed the slide mostly on lower demand for midrange IBM storage products, which include IBM Storwize, and DS8880 mainframe arrays. “The storage market remains very competitive, with ongoing pricing pressures,” Kavanaugh said. Demand for all-flash IBM storage is strong, Kavanaugh said, although he provided no figures. He said IBM will extend NVMe across its storage portfolio this year. IBM’s latest focus is helping customers build IBM storage clouds for AI and edge projects. New Z Series mainframe systems and high-performance Power9 processors have been rolled out to enterprises that require advanced analytics or cloud computing. IBM cloud revenues increased 12% last year to more than $19.2 billion. Software-as-a-service revenue closed the year with an annual run rate of $12 billion, up 21%. Without disclosing details, Kavanaugh said the number of new clients using IBM Cloud Private “accelerated” last quarter, and he cited growing adoption for the IBM Private Cloud for Data platform. Zerto is set to launch the latest incarnation of its flagship product that converges backup and recovery, and will enable users to recover to a point in time going back years. Zerto 7, the new edition of the Zerto IT Resilience Platform, is scheduled for a tech preview in February and general availability in April. “Legacy backup doesn’t really work anymore,” said Rob Strechay, senior vice president of product, on a webinar preview of Zerto 7 last week. Strechay pointed to the complexity and cost of old backup products and emerging threats such as ransomware as reasons why a new data protection platform is needed. The major new feature in the Zerto IT Resilience Platform is the Elastic Journal, which combines short-term journaling technology with long-term repositories. Through its journaling, Zerto previously offered the ability for an organization to roll back to a point in time within the last 30 days and recover. Now the Boston-based software vendor claims it will enable point-in-time recovery going back years. “It lets you simply rewind to any point in time with no data loss or downtime,” said Strechay, who previewed Zerto 7 at the vendor’s annual ZertoCON user conference last May. The Elastic Journal offers point-in-time recovery across files, virtual machines, applications or sites. Strechay said he remembers a time when he had to use many tapes just to bring back one application. Zerto claims recovery point objectives of seconds and recovery time objectives of minutes. “It gives you a much more flexible way of handling long-term retention,” Gijsbert Janssen van Doorn, technology evangelist at Zerto, said in an interview. The Zerto IT Resilience Platform uses Changed Block Tracking copies to keep costs down, van Doorn said. The product features new support for secondary storage target repositories such as ExaGrid and HPE StoreOnce appliances. Zerto is hardware-agnostic and has no plans to start making appliances, Strechay said. The ability to restore to a given point in time is a critical functionality in the evolution of recovering from ransomware and threats of that nature, said Phil Goodwin, research director at IDC. “The Elastic Journal is fairly unique,” Goodwin said. Goodwin said another key piece of Zerto IT resilience technology is its application mobility. Zerto is one of the companies ahead of the game in its ability to move workloads from one location to another, for example between public clouds. He pointed to VMware, Microsoft and Veeam as other vendors that provide that capability. The market is moving from an era of products offering separate functionalities to vendors providing a “continuum” of application availability, workload migration and management of data in different locations, Goodwin said. Goodwin said Zerto’s next big move could be more integration with other vendors and systems. Veeam, one of Zerto’s top competitors and another vendor with no plans to manufacture its own hardware, has launched several appliance partnerships in the last couple of years with vendors such as Cisco and Lenovo. “Building out their ecosystem is going to be critical for Zerto to succeed,” Goodwin said. Zerto is discussing physical protection and container support as potential future elements of its IT resilience platform, van Doorn said. The new Zerto IT Resilience Platform also features intelligent index and search capabilities, an enhanced user interface and analytics. The longer organizations keep data, the more important it becomes to be able to search and analyze that data well. All current customers will automatically receive the new features at no additional cost, according to Zerto. For new customers, Zerto will continue to price per virtual machine. Zerto claims more than 7,000 customers. One day after Rubrik pulled in more than a quarter of a billion dollars in fresh funding, rival Veeam Software picked up nearly twice as much. Veeam today said Insight Venture Partners has invested an additional $500 million in the data protection software vendor. That brings the total investment in data protection and data management technologies to $761 million this week. Throw in the $250 million funding that Cohesity received in June 2018 and $100 million for Actifio last August, and you have four nine-figure funding rounds worth more than $1 billion in the space in eight months. Like Rubrik, Veeam is looking to use its haul in part on acquisitions to bring it new technologies. Ratmir Timashev, a Veeam founder and its executive vice president, identified cloud management, containers, and greater support for KVM hypervisors as areas that Veeam will seek to bolster. “Our goal is to grow beyond backup to intelligent data management,” he said. In 2018 Veeam acquired N2WS, a small vendor that provides backup for data on Amazon Web Services. Timashev hinted that bigger deals are coming. “As we enter our second decade, we might need larger cash reserves for much larger acquisitions,” Timashev said. Insight Venture Partners invests in other data protection vendors, and owns another Veeam rival, Unitrends. Timashev did not identify companies Veeam is considering buying, but he did say Unitrends is not one of them. There are significant differences between the two data protection vendors who received funding this week. On the technology side, Veeam remains a software-only product while Rubrik sells software integrated with hardware appliances. Timashev said Veeam, which originally specialized in protection of virtual machines but has expanded into physical and cloud protection, will not follow backup software vendors such as Veritas and Commvault down the path of integrated appliances. He said Veeam will continue to support a wide range of primary and secondary storage vendors instead of competing against them. “We understand the hardware model, but Veeam is software-defined,” Timashev said. On the business side, Rubrik is a traditional technology startup relying heavily on venture funding and aiming to eventually become a public company. Swiss-based Veeam was self-funded for years, until Insight Ventures came aboard as a minority investor in 2013. Timashev said the venture capitalist and private equity firm remains a minority investor, even with the fresh $500 million investment. Veeam has no other venture or private equity funding. Timashev said Veeam, which launched in 2006, has been profitable for years. He said the vendor fell just short of its goal for $1 billion in bookings in 2018 but he expects to hit that milestone in 2019. He said Veeam’s goal is to go beyond $2 billion within five years. Timashev said Veeam made more than $100 million in profit in 2018, and had close to $800 million in cash before the new investment. Unlike Rubrik and most startups, Veeam is not looking to get acquired or go public. 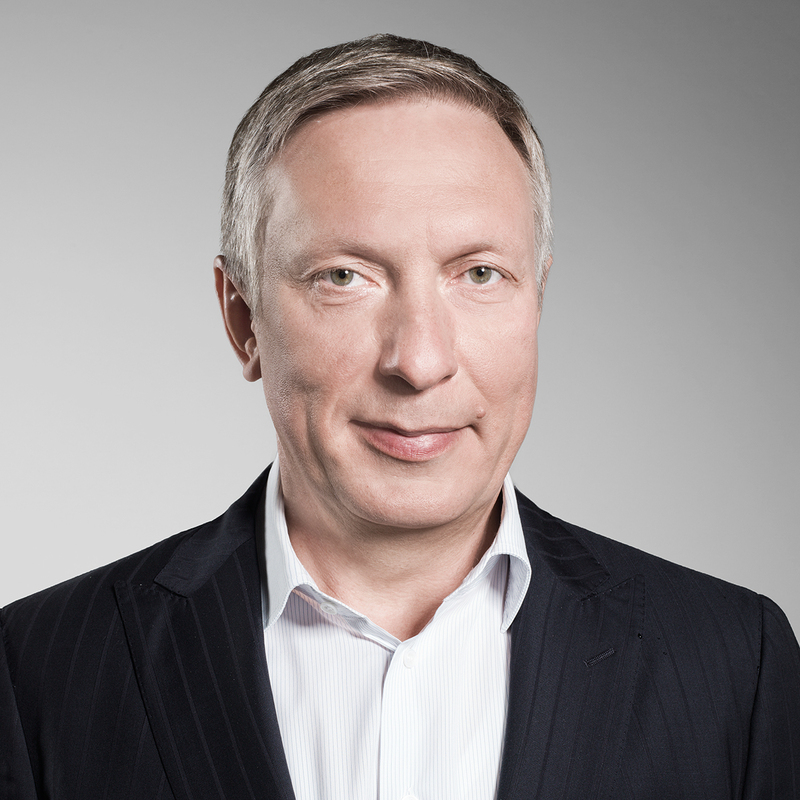 Timashev and Veeam’s other founder, CEO Andrei Baronov, remain in control of the company. Timashev said Veeam has more than 3,500 employees and plans to add nearly 1,000 in 2019. Major storage and server vendors are angling for position in hyper-converged systems. But as has been the case for a while, the jockeying really is for who finishes in third place. The battle for first and second is a tilt between Dell EMC subsidiary VMware and hyper-converged infrastructure (HCI) market pioneer Nutanix. Wells Fargo Securities, citing market estimates by analyst firm IDC, said in a research note those two vendors sold 70% of all HCI systems during the September quarter, or $1.5 billion. The combined clout of Dell EMC and VMware give it control of nearly 60% of the market. Nutanix claimed a 35% share, with other vendors in scrimmage for the leavings. Industrywide, IDC said overall HCI revenues surged 15% from the prior quarter, up 67% year over year to a record $1.7 billion. The combination of VMware Virtual SAN (vSAN) software-defined storage and vSAN Ready Nodes led the way at $591 million, which equates to 35% share of the HCI market. The VMware HCI figures include software-only licenses for vSphere ($89 million). VMware reported for the October quarter that VSAN bookings grew 50% year over year. Customer can get VSAN as a software-only license, or buy it packaged on x86 Ready Node servers from certified hardware partners. Dell Inc. this month won approval from VMware shareholders to go public by buying up a tracking stock tied to the valuation of the virtualization giant. The financial maneuver is expected to enable Dell to start trading its common shares Dec. 28. and to keep VMware as a separate publicly traded company. According to the IDC forecast, Dell EMC saw HCI revenue increase to $373 million, good for 22% market share. Coupled with VMware, that gives Dell Technologies control of nearly 60% of the market. Dell EMC’s growth is tied to rising arc its VxRail flagship, which fueled a 109% increase in revenue to $184 million. Rack-scale VxRack HCI accounted for $80 million, representing year-over-year growth of 129%. Dell also gained $124 million from sales of its XC Series, which bundles the Nutanix software stack on 14th generation PowerEdge servers. The Dell OEM deal provide 9% of Nutanix revenues during its recent quarter. Nutanix created the HCI market by integrating compute, networking, storage and hypervisor software on a single hardware appliance. Nutanix rode the business model to an initial public offering in 2016, but last year ditched hardware to phase in a software-only licensing model, similar to the approach of VMware. IDC said customers bought an estimated $585 million worth of Nutanix HCI gear, jumping 65% year over year. Direct sales of Nutanix NX Series accounted for $281 million in revenue. If you remove sales through third parties and OEMs, Nutanix’s share remained flat at around 35%. Hewlett Packard Enterprise came in a distant third at $112 million, an improvement from $54 million from a year ago. The lion’s share of HPE’s HCI revenue stem from the SimpliVity product it acquired being in the market a full year. Netapp and Cisco have partnered on FlexPod CI for years, which uses Cisco servers and networking attached to NetApp FAS storage. NetApp is a latecomer to hyper-convergence. The NetApp HCI has been shipping about a year, based on SolidFire all-flash arrays it acquired in 2015. NetApp HCI revenue went from zero to $21 million last quarter. Not mentioned are IBM and Hitachi Vantara. IBM uses its VersaStack converged infrastructure reference design to compete in the HCI market. Hitachi in September refreshed its Hitachi Unified Compute HC system, featuring an upgrade to NVMe flash. The remaining $509 million in market revenue is credited to an assortment of unidentified vendors. The list likely includes niche vendors such as Datrium, Pivot3 and Scale Computing. The CEO of object storage startup Minio wants to change the way people talk about his company in 2019, beginning with the way they say its name. 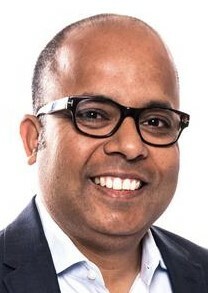 Most people pronounce it “MIN-EO” but CEO and founder Anand Babu Pariasamy said he wants the company known as Min-IO, as in “minimal IO.” The effort to reduce latency is reflected in a new hardware product that Minio plans to launch in 2019 to optimize its object storage software performance. Minio is an object storage server released under Apache License 2.0 and compatible with Amazon S3 cloud storage. Periasamy bills Minio as object storage for AI. Like most object storage vendors, Minio started out selling private cloud storage. But now it is aiming for data centers and private clouds by targeting specific applications. He said developments such as Amazon Outposts and Microsoft Azure Stack that bring public cloud technology into on-premises data centers will blur the lines between public and private clouds. “In the end, the enterprise IT will look like AWS,” he said. He sees his main competition coming from the likes of Cloudera Hadoop software and Pure Storage’s FlashBlade all-flash array for unstructured data. Minio is working on its own flash performance system that Periasamy said will ship in 2019. He said Minio has worked with hardware partner Samsung for six months on the storage system. The hardware is an all-flash box that uses high-capacity quad-level cell (QLC) NVMe drives, up to eight servers with Intel Skylake chips, and Mellanox CX5 1000 Gigabit per second Ethernet switches. The system will perform erasure coding and bit-rot detection for data protection. Periasamy said the server-based architecture is different from a typical storage array. So 2019 may be the year that Minio either cooks up something different and tasty, or becomes one more chef that spoils the soup. HYCU, which sells data protection specifically designed for Nutanix hyper-converged systems, today enhanced features for backing up the platform it has hitched its wagon to. Comtrade Software launched HYCU (pronounced Haiku) software in June 2017 to concentrate on protection for data on Nutanix appliances. In March 2018, Comtrade Software rebranded as HYCU, part of the Comtrade Group. HYCU has more than 300 employees, mostly dedicated to a single application. HYCU 3.5 allows snapshots of Nutanix Volume Groups, snapshots of SAP HANA, restores of individual disks instead of files, folders or virtual machines, and agentless backup of Microsoft SQL Failover Cluster. HYCU’s support of SAP HANA follows Nutanix’s recent emphasis on protecting the application as it tries to move into more enterprise accounts. HYCU uses Nutanix SAP HANA snapshots for rapid recovery. HYCU CEO Simon Taylor said his company develops all code individually from Nutanix, despite its focus on protecting data on Nutanix hyper-converged infrastructure. “It’s not co-engineered by any stretch,” he said. Taylor said HYCU has more than 700 customers using its backup and recovery software, 18 months after launching its software for Nutanix. “We’re thrilled to have made it this far,” Taylor said. There are three versions of HYCU software. HYCU Data Protection Suite for Nutanix covers all virtual machines, applications and Nutanix Files. HYCU Data Protection for Nutanix Apps protects VMs and applications running on Nutanix, and HYCU Data Protection for Nutanix Files protects only data on Nutanix Files storage. HYCU pricing starts at $1,500 per socket, or customers can choose monthly subscription pricing of $75 per socket and $10 per VM for enterprises. External storage systems are all-but-obsolete in the software-defined era. At least that’s the fable shared repeatedly across the industry. But cloud and enterprise customers are collaborating to write a different tale, featuring legacy storage as a central character. Similar to the “tape is dead” mantra and the predicted demise of Fibre Channel, legacy storage array vendors continue to hold their own, combining with original design manufacturers (ODMs) to ship nearly 114 exabytes of capacity last quarter, according to the latest tracking numbers by analyst firm IDC. That represents a 57% jump in total shipments year over year. Factory revenue from external storage systems grew 19% worldwide to top $14 billion. Enterprise customers contributed $6.3 billion to the market, up nearly 13% from a year ago. The IDC definition of networked storage entails any system with a minimum of three disks, accompanied by controllers, cabling and host bus adapters. The disks can be contained inside a traditional storage array or installed in an x86 server chassis. And as data center administrators will tell you, the trend line is gradually moving away from the purchase of big iron legacy storage that entails high costs and vendor lock-in. IDC said cloud data centers selling consumption-based storage services fueled the biggest jump, buying $3.9 billion worth of storage gear from ODMs, or 46%. Overall, ODM sales to hyperscalers accounted for 27% of all enterprise storage investments – a percentage matched by server-side flash deployments, which climbed 10% to $3.8 billion. Dell EMC maintained the No. 1 spot among the array vendors. Dell captured 19% of the enterprise storage market, edging Hewlett Packard Enterprise (HPE) at 16%. For the quarter, the combined storage brands of Dell and EMC generated $2.6 billion, marking year-over-year growth of nearly 22%. This year has been one of contrasts for Dell EMC. The vendor struggled early to shake off a string of successive down earnings in storage, before finally posting gains in June. Last week, Dell EMC said it notched $3.9 billion en route to its third straight positive quarter, fueled in part by increased adoption of its VxRail hyper-converged infrastructure. This week, parent company Dell unveiled a plan to go public in December with a complex buyback from shareholders of a tracking stock in its VMware subsidiary. A return to public trading is not expected to have an impact on Dell EMC storage customers. HPE held on to second-place, despite seeing revenues decline more than 3%. HPE’s $2.3 billion equates to 16.4% of global enterprise storage sales, yet that is down nearly 4 full percentage points from HPE’s 2017 results. For the full year, HPE reported 13% growth in its legacy storage business, specifically calling out the integration of InfoSight analytics across its flagship 3PAR all-flash arrays as a key growth driver. HPE picked up InfoSight when it acquired Nimble Storage in 2017. NetApp closed the quarter with revenue growth of 15% ($808.2 million), but its overall share of the legacy storage market remained flat at around 6%. After a period of transition for NetApp, during which it needed to quickly catch up to all-flash competitors, five consecutive quarter of 7% revenue growth have followed, including four quarters of profit. Hitachi Vantara and IBM closed out the top five, each with roughly 3% of the enterprise storage systems market, although both vendors saw storage revenue drop by double digits. Hitachi Vantara, formerly known as Hitachi Data Systems, posted $428 million, down 10%. IBM storage revenues fell 21% to $403 million. It’s official: Dell Technologies once again will become a public company, after gaining hard-won approval to buy back VMware tracking stock from shareholders in a transaction approaching $24 billion. Dell said 61% of VMware shareholders approved of the deal, capping months of sometimes-contentious negotiations between Dell and stockholders in its VMware virtualization subsidiary. The VMware tracking stock mirrors the performance of VMware, which closed the last quarter with $2.2 billion in revenue, up 15%. The deal paves the way for Dell to start trading on the New York Stock Exchange by Dec. 28, without hiring an investment bank to underwrite the offer. The financial maneuvering is not expected to have material impact on Dell EMC storage customers, although it simplifies the Dell-EMC-VMware corporate structure and provides liquidity for investments and paying down roughly $53 billion in merger-related debt. In going public, Dell said it will convert 199 million shares of the VMware tracking stock to newly created Dell Class C common shares. Shareholders will have the option to convert the shares or receive $120 in cash per share, without interest and subject to an aggregate cap of $9 billion. Dell boosted the VMware buyback price from its initial $109 per share after activist investor Carl Icahn sued the company. Icahn subsequently dropped his lawsuit last month following after Dell upped the offer. Dell authorized 343 million shares of VMware tracking stock as a blandishment to win over EMC shareholders during merger negotiations. Dell has been selling off assets since the merger, including services and software it claims no longer mesh with its long-term growth strategy. The vendor has entertained various scenarios since the start of the year, which included a potential reverse merger with VMware and an IPO to spin out Dell EMC as a separate company. Dell went private in 2013 to escape the scrutiny of Wall Street, completing a $24.5 billion leveraged buyout by equity firm Silver Lake Partners, which subsequently helped Dell buy EMC and retains about 18% of the computer company. Veeam updates to its flagship product and AWS data protection include the ability to migrate old data to cheaper cloud or object storage. Update 4 of Veeam Availability Suite 9.5 is scheduled to be released this month to partners. General availability will follow at a date to be determined. Veeam’s flagship Availability Suite consists of Veeam Backup & Replication and the Veeam ONE monitoring and reporting tool. The new Cloud Tier feature of Scale-out Backup Repository within Backup & Replication facilitates moving older backup files to cheaper storage, such as cloud or on-premises object storage, according to a presentation at the VeeamON Virtual conference this week. Targets include Amazon Simple Storage Service (S3), Microsoft Azure Blob Storage and S3-compatible object storage. Files remain on premises, but as only a shell. The Veeam updates also feature Direct Restore to AWS. The process, which takes backup files and restores them into the public cloud, works in the same way as Veeam’s Direct Restore to Azure, said Michael Cade, technologist of product strategy. A Staged Restore in the Veeam DataLabs copy data management tool helps with General Data Protection Regulation compliance, specifically the user’s “right to be forgotten,” Cade said. The DataLab can run a script removing personal data from a virtual machine backup, then migrate the VM to a production environment. The Veeam updates also include ransomware protection. Also within Veeam DataLabs, the Secure Restore feature enables an optional antivirus scan to ensure the given restore point is uninfected before restoring. Veeam is not going to prevent attacks, but it can help with remediations, Cade said. In addition, intelligent diagnostics in Veeam ONE analyze Backup & Replication debug logs, looking for known problems, and proactively report or remediate common configuration issues before impact to operations. The Veeam updates include N2WS, a company it acquired at the end of last year. N2WS, which provides data protection for AWS workloads, released Backup & Recovery 2.4 last week, enabling users to choose from different storage tiers and reduce the cost of data requiring long-term retention. The vendor launched Amazon Elastic Block Store snapshot decoupling and the N2WS-enabled Amazon S3 repository. Customers can move snapshots to the repository. That repository saves up to 40% on costs, said Ezra Charm, vice president of marketing at N2WS. “Data storage in AWS can get expensive,” especially if an organization is looking at long-term retention, for example at least two years, Charm said during the virtual conference. Possible uses include archiving data for compliance in S3, a cheaper storage tier. Managed service providers can also use it to lower storage costs for clients. In addition, the N2WS update features VPC Capture and Clone. That capability captures VPC settings and clones them to other regions, which eliminates the need for manual configuration during disaster recovery, according to N2WS. An enhanced RESTful API automates backup and recovery for business-critical data. “Any of the data you store [in AWS] is clearly your responsibility,” Charm said. AWS data protection is an emerging market. In June 2018, Druva acquired CloudRanger, another company that provides backup and recovery of AWS data. While human error is the most likely scenario why AWS data protection is needed, Charm said, there are many other possible issues. “Ransomware in AWS has been documented,” he said. N2WS Backup & Recovery 2.4 is available now in the AWS Marketplace.